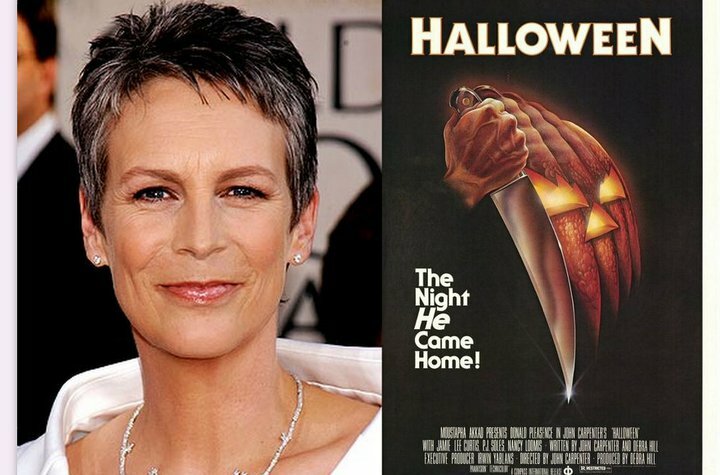 That picture above of Jamie Lee Curtus in "Halloween" is no strange sight, it's also very well known that she started her career in the Horror genre. 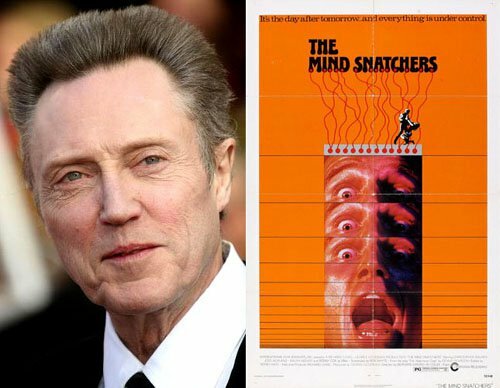 Christopher Walken - "The Mind Snatchers"
The legendary Christopher Walken has appeared in many classic films but one of his first big screen appearances was in the Horror/Sci-Fi "The Mind Snatchers". 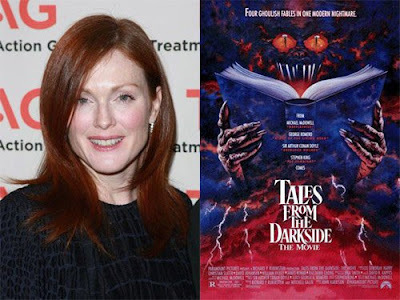 Jennifer Jason Leigh - "Eyes Of A Stranger"
Jennifer Jason Leigh had a few T.V. 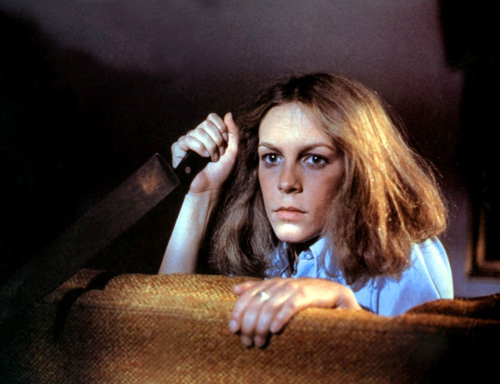 roles before she made her big screen debut in the 1981 Horror/Thriller "Eyes Of A Stranger". 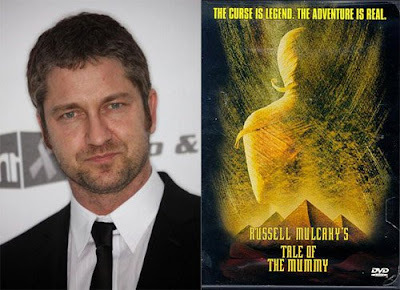 Gerard Butler - "Tale Of The Mummy"
The "300" star was cast alongside an impressive role-call of actors for one of his first roles, such as Sir Christopher Lee, Sean Pertwee, Shelley Duvall andMichael Lerner in the 1998 Horror/Fantasy "Tale Of The Mummy". Amy Adams - "Psycho Beach Party"
You may know Amy Adams for her role in films such as "The Muppets", "The Fighter", "Catch Me If You Can" and more. 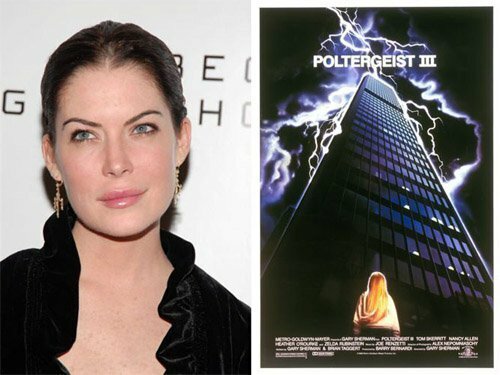 She's even playing the role of 'Lois Lane' in the upcoming Superman film, "Man Of Steel". 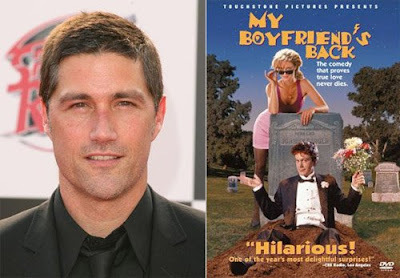 One of her first roles was in the comedy/horror "Psycho Beach Party" released in 2000. 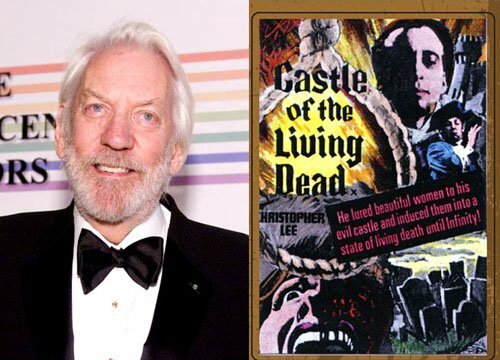 Donald Sutherland - "Castle Of The Living Dead"
Donald Sutherland has appeared in many films over the years but one of his first roles was in the Italian Horror "Castle Of The Living Dead" which also starred Sir Christopher Lee. Helen Hunt - "The Spell"
The "Twister" and "Mad About You" actress was already on the rise before she starred in the 1977 Horror film "The Spell", at-least she managed to do some Horror work on the way up. 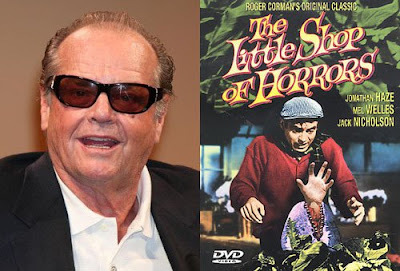 Jack Nicholson - "The Little Shop Of Horrors"
He may be an A-lister these days but Jack Nicholson had his start in the 1960 Horror/Comedy "The Little Shop Of Horrors". Harrison Ford - "The Possessed"
In the same year he shot to fame in "Star Wars: Episode IV - A New Hope" Harrison Ford first starred in the 1977 Horror film "The Possessed" alongside beloved actress P.J. Soles. 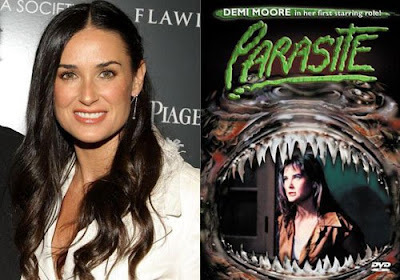 "Ghost" star Demi Moore got her first starring role in the 1982 3D Horror/Sci-Fi release "Parasite"
Ben Stiller - "Highway To Hell"
Ben Stiller is a huge box office draw these days due to films such as "There's Something About Mary", "Mystery Men", "Zoolander" and "Meet the Parents", but one of his earliest roles was in the early 90's Horror/Fantasy release "Highway To Hell". 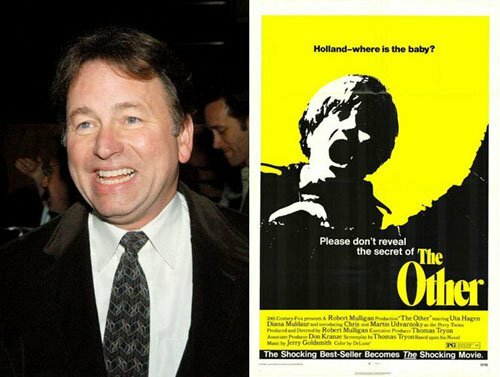 John Ritter - "The Other"
John Ritter had a very sporadic career but one of his earliest roles was in the 1972 Horror/Drama "The Other". Sharon Stone - "Deadly Blessing"
The "Basic Instinct" star got her first big role in 1981 Horror/Thriller "Deadly Blessing". 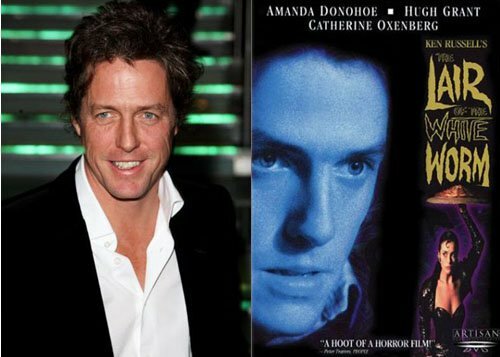 Hugh Grant - "The Lair Of The White Worm"
Mr. Rom-Com himself starred in many T.V. shows before he starred in 1988 Horror/Thriller "The Lair Of The White Worm". 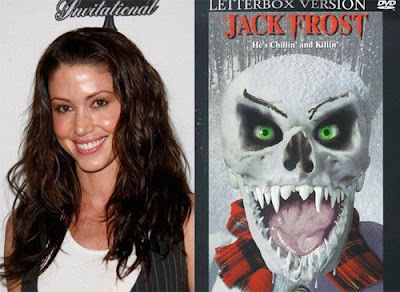 Shannon Elizabeth - "Jack Frost"
The "American Pie" star had a memorable film debut in the 1997 Horor./Comedy "Jack Frost"
Johnny Depp - "A Nightmare On Elm Street"
He maybe known for playing wacky characters and being Tim Burton's no.1 go to guy but for Johnny Depp it all started in Wes Craven's 1984 Horror classic "A Nightmare On Elm Street"
Fergie - "Monster In The Closet"
The Black Eyed Peas singer has starred in a few T.V. 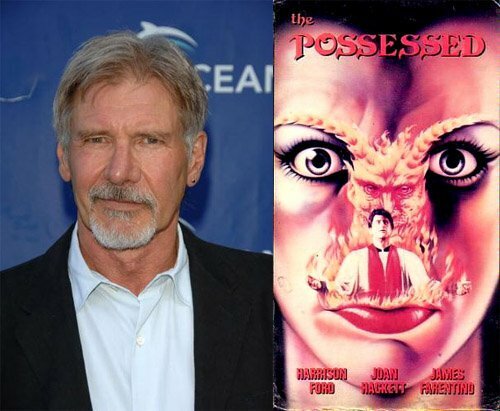 and Film roles but it was the 1986 Comedy/Horror "Monster In The Closet" where as a child she got one of her first roles. 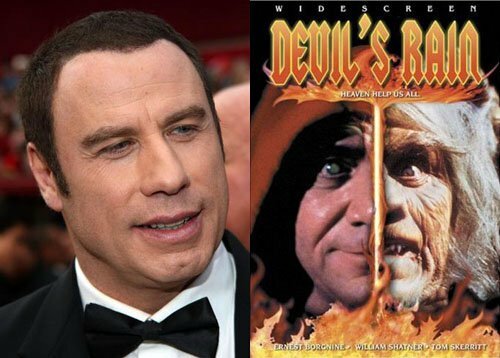 John Travolta had a few T.V. appearances but it was in the 1975 Horror film "Devil's Rain" that he got his first starring role alongside William Shatner. 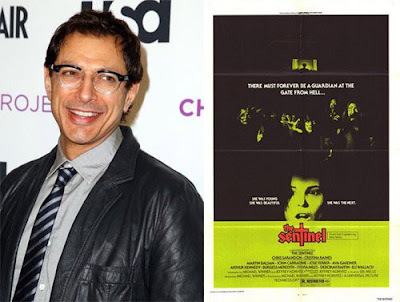 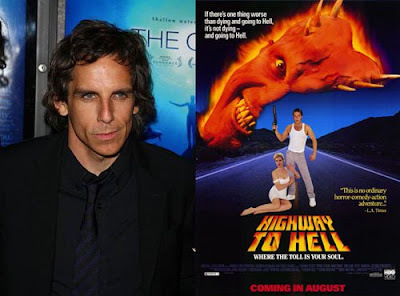 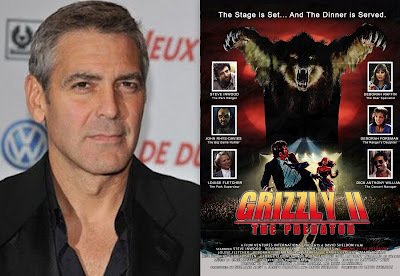 His next film role was also in a Horror, the Stephen King classic "Carrie"
After various T.V. 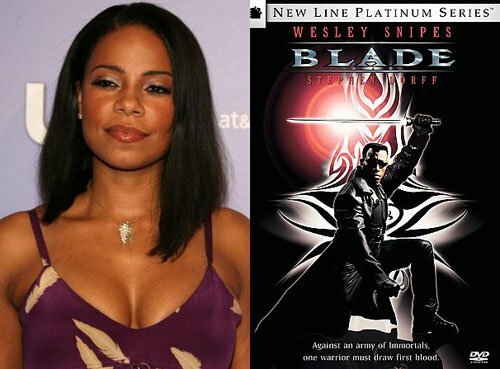 appearances Sanaa Lathan got her big screen break in the 1998 Horror/Action favourite "Blade". 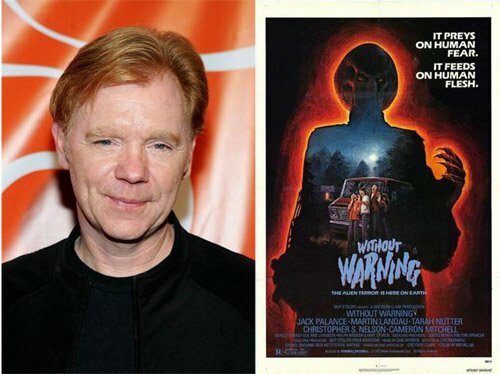 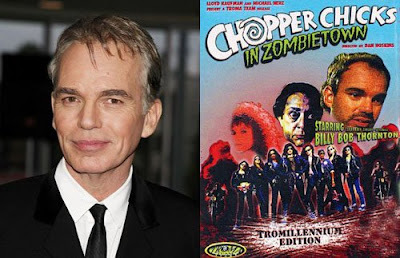 David Caruso - "Without Warning"
The "CSI: Miami" star had one of his first film roles in the 1980 Horror/Sci-Fi "Without Warning"
Billy Bob Thornton - "Chopper Chicks In Zombie Town"
Could you ever imagine Billy Bob Thornton featuring in a Troma movie?! Well you don't have to imagine it as it's actually happened in the 1989 Troma release, "Chopper Chicks In Zombie Town". 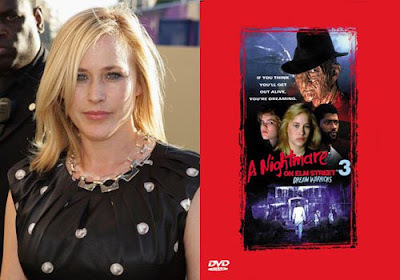 Patricia Arquette - "A Nightmare On Elm Street 3: Dream Warriors"
This member of the Arquette family got her first role as a victim of our Beloved Freddy Kreuger in the 1987 Horror "A Nightmare On Elm Street 3: Dream Warriors"
Jim Carrey - "Once Bitten"
Jim Carrey had a few bit parts in film and T.V. 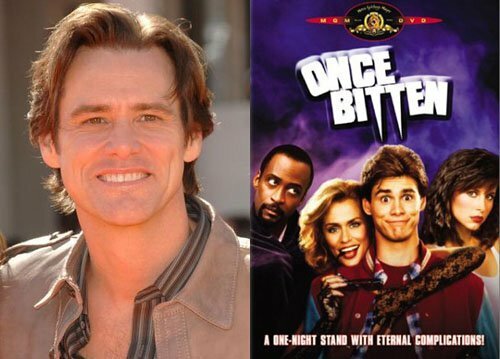 but he was perfectly cast in the 1985 Horror/Comedy "Once Bitten". 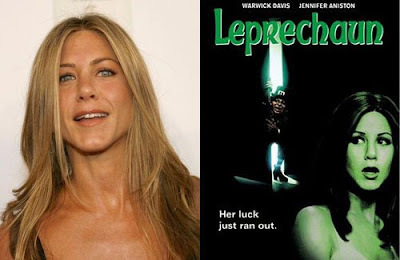 The "Law & Order star got her acting debut in the brilliant 1985 Horror/Comedy "Ghoulies". The "Friends" star had a few T.V. appearances under her belt but it was the 1993 Comedy/Horror "Leprechaun" where she first broke into film. Billy Zane, star of "Titanic", "The Phantom" and even the "Twin Peaks" T.V. 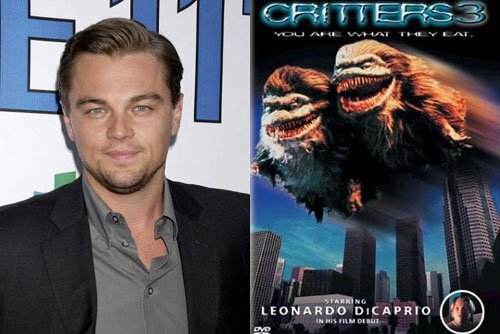 series but did you know he starred in the 1986 film "Critters"? 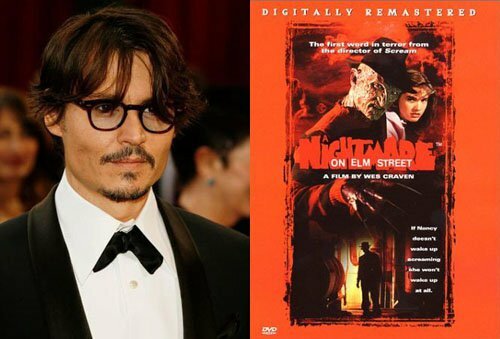 Aged just 20 at the time it was his second film. Eva Mendes - "Children Of The Corn IV"
With so many films in the "Children Of The Corn" franchise it's no surprise that someone got their break in the franchise, that person was Eva Mendes in the '98 release "Children Of The Corn IV". 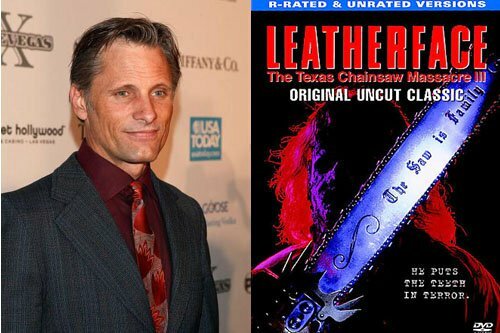 Viggo Mortensen - "Leatherface: Texas Chainsaw Massacre III"
The "Lord Of The Rings" earliest film roles was as part of the 'Sawyer' family in the 1990 Horror "Leatherface: Texas Chainsaw Massacre III"
Julianne Moore - "Tales From The Darkside"
The "Hannibal" star got her first taste of the big screen in the 1990 Horror/Comedy "Tales From The Dakside" in the segment "Lot 249"
George Clooney - "Grizzly II"
George Clooney appeared in "Grizzly II" before "Return To Horror High" and "Return Of The Killer Tomatoes" but it was these films that he is most well known for in the Horror Genre. 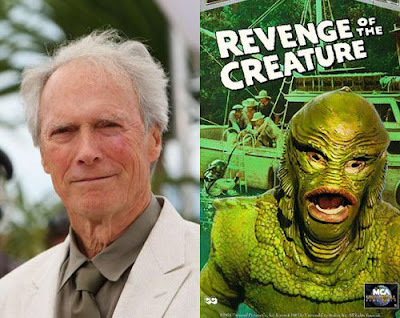 Clint Eastwood - "Revenge Of The Creature"
Another legendary actor who got his break in the 1955 Horror/Sci-Fi "Revenge Of The Creature", unfortunately his role was un-credited. 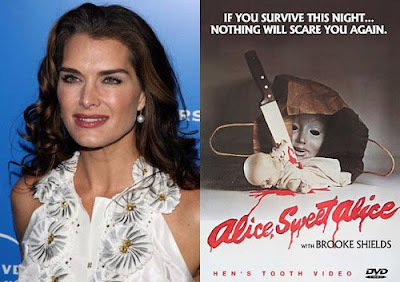 Brooke Shields - "Alice Sweet Alice"
Brooke Shields, known as an American sweetheart for her wholesome image but did you know her first ever role was at age 11 in the brilliant 1976 film "Alice Sweet Alice"? 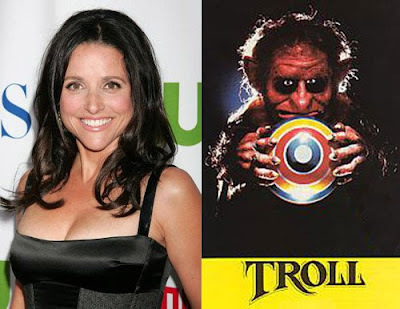 Julia Louis Dreyfus - "Troll"
The Seinfeld star got her first taste of big screen action in the 1986 Horror/Fantasy "Troll". Steve McQueen - "The Blob"
"The Great Escape" star had one of his first film roles in the 1958 Horror/Sci-Fi "The Blob"
Eva Longoria - "The Dead Will Tell"
The "Desperate Housewives" star got one of her first starring roles in the 2004 Horror/Drama "The Dead Will Tell". The "Cheers" star got one of his first big breaks in the classic 1982 Horror anthology film "Creepshow" in the segment "Something To Tide You Over". 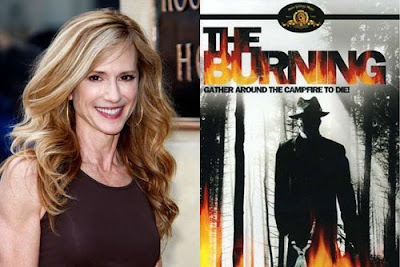 Holly Hunter - "The Burning"
Holly Hunter has done her fair share of movie and T.V. 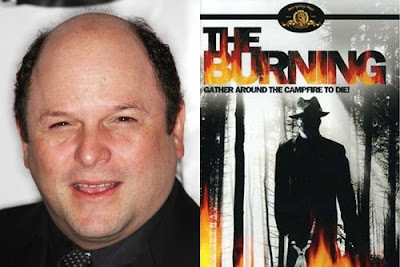 roles over the years but it was in the 1981 slasher "The Burning" where she first started out. 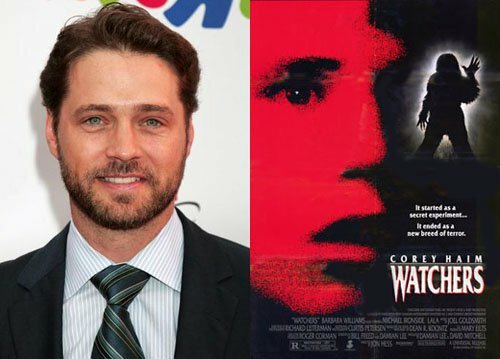 The "90210" star had one of his earliest roles in the 1988 Horror/Sci-Fi "Watchers" alongside Michael Ironside and Corey Haim. 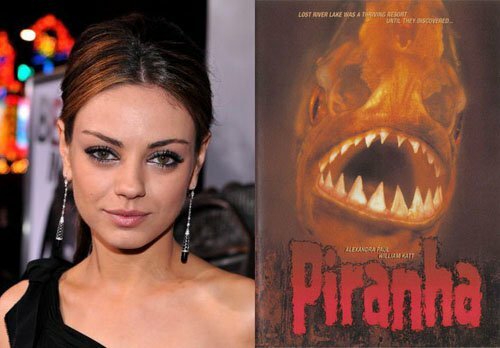 She may have been voted the sexiest woman of 2012 and be very hot property in the movie business now but one of Mila Kunis first roles was in the 1995 Roger Corman film "Piranha"
Leonardo DiCaprio - "Critters 3"
He maybe a sought actor these days but the "Inception" star had his first taste of the big screen in the 1991 Horror/Comedy "Critters 3"
Jennifer Connelly "Creepers A.K.A Phenomena"
Before her break in "Labyrinth" Jennifer Connelly was the star of Dario Argento's 1985 Horror/Mystery "Creepers"
Matthew Fox - "My Boyfriend's Back"
The "Lost" star got his big screen break in the 1993 Horror/Comedy "My Boyfriend's Back". 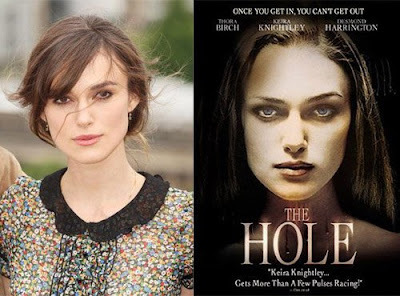 Keira Knightley - "The Hole"
Admittedly she had a few T.V. appearances and a tiny role in "Star Wars: Episode I - The Phantom Menace" but it was in the 2001 Horror/Mystery "The Hole" where she started gaining attention. Jason Alexanders - "The Burning"
Another actor who got his start in 1981 slasher "The Burning", the "Seinfeld" star actually has a full head of hair as-well. Lara Flynn Boyle - "Poltergeist III"
Another actress who got her big screen debut in a Horror, that film was 1988's "Poltergeist III". 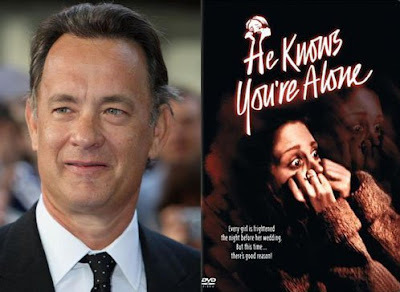 Tom Hanks - "He Knows Your Alone"
The "Forrest Gump" star got his acting debut in the 1980 Horror "He Knows Your Alone". 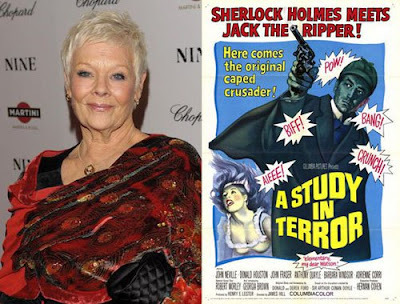 Dame Judi Dench - "A Study In Terror"
Like many of her fellow actors and actresses Dame Judi Dench had a few T.V. 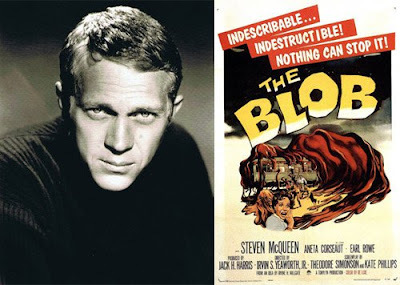 appearances and a couple of film roles but it was in the 1965 Horror/Drama where her career lifted off. 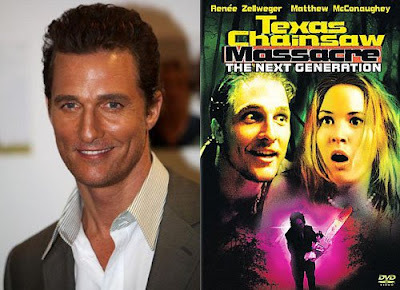 Matthew McConaughey - "Texas Chainsaw Massacre: The Next Generation"
After a small role in the stoner film "Dazed And Confused" Matthew McConaughey got a lead role as a member of the 'Slaughter' family in the 1994 Horror "Texas Chainsaw Massacre: The Next Generation". Renée Zellweger - "Texas Chainsaw Massacre: The Next Generation"
After having a few roles in various projects Renée Zellweger got the lead role in the 1994 Horror "Texas Chainsaw Massacre: The Next Generation"
Jeff Goldblum - "The Sentinel"
One of Jeff Goldblum's earliest roles was in the 1977 Horror/Thriller in which he starred alongside Chris Sarandon, Ava Gardner, Christopher Walken and Beverly D'Angelo. 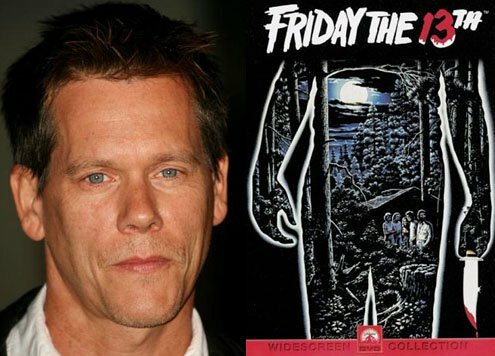 Kevin Bacon - "Friday The 13th"
A well known story but still note-worthy, Kevin Bacon's early career saw him as a victim in the 1980 Horror classic "Friday The 13th". 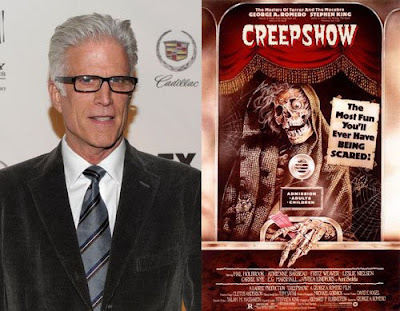 Jamie Lee Curtis - "Halloween"
Yes I know I talked about this at the beginning but I couldn't not put Jame Lee on the list, you all know about her so need to explain! 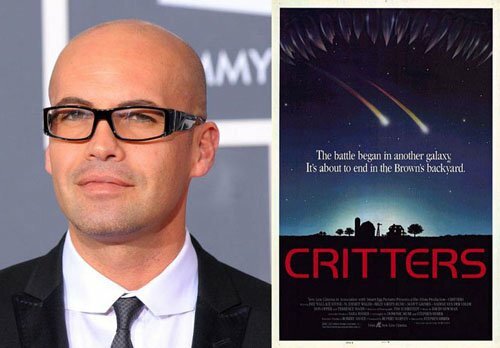 Of-course there are more such as Brad Pitt in "Cutting Class", Edward Olmos in "Wolfen", Lance Guest in "Halloween 2", Daryl Hannah in "The Fury", Josh Hartnett in "Halloween 7: H20", Breckin Meyer in "Freddy's Dead: The Final Nightmare", Adam Scott in "Hellraiser 4: Bloodline", Fisher Stevens in "The Burning", Meg Tilly in "One Dark Night", Vanna White in "Graduation Day", Rachel Ward in "Night School", Daphne Zuniga in "The Dorm That Dripped Blood", Evangeline Lilly in "Freddy VS Jason", Hillary Swank "Sometimes They Come Back...Again", Isla Fisher in "The Pool", Crispin Glover in "Friday the 13th 4: The Final Chapter", James Marsden in "Campfire Tales", Jason Statham in "Ghosts Of Mars", Jeffrey Donovan in "Blair Witch 2", Jennifer Carpenter in "The Exorcism Of Emily Rose", Dana Carvey in "Halloween II", Tony Goldwyn in "Friday the 13th 6: Jason Lives", and John Goodman in "C.H.U.D.". I'd even bet I've missed some. Some you may know about, some you may not but one thing that is obvious is the Horror genre can give you a great boost in your acting career.